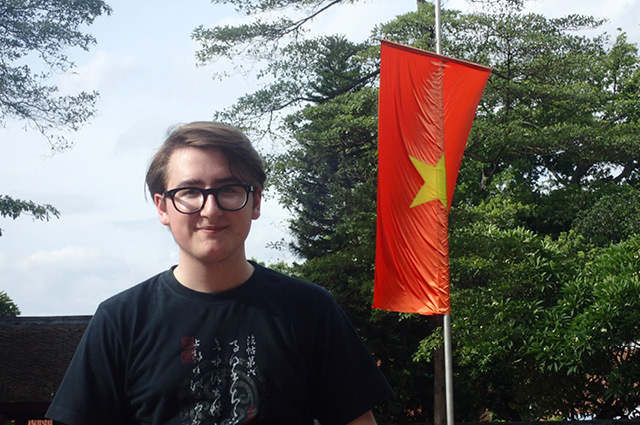 A taste of the 2016 International Biology Olympiad in Hanoi from Salvador Buse, who won a silver medal and is now studying Natural Sciences at Trinity College, Cambridge. In July last year, I was a quarter of the team representing Britain at the International Biology Olympiad (IBO) in Vietnam. The Olympiad was in all respects a great adventure and great opportunity, and I have written this short post to share a taste of our time there. For me, the Olympiad began in London, with the day following the 2016 RSB Awards Ceremony spent training in taxonomy at the Natural History Museum. I learned more about organisms and their phylogenies that day than I had before or have since, and the experience was a little overwhelming, but thoroughly enjoyable…a phrase that quite nicely sums up my overall experience last year at the IBO. 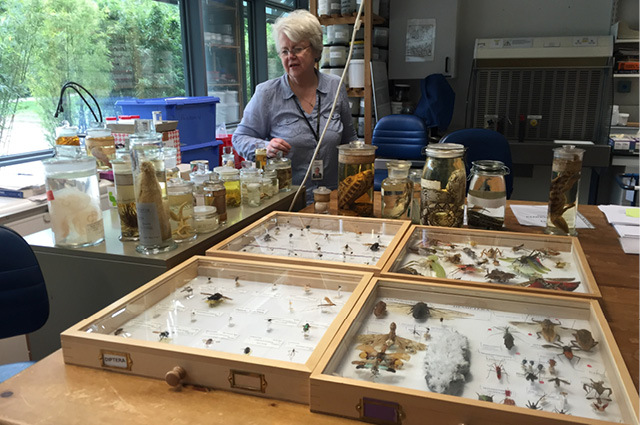 Eileen Harris, the director of the parasites and vectors department at the museum, took a day off work to display for us a seemingly endless parade of preserved specimens, of vertebrates and invertebrates, worms and reptiles, dried and mounted, or floating in formaldehyde. She also guided us through the basements of the museum, where they store the 90% of the collection not on public display, culminating in a cabinet of specimens donated to the museum by Charles Darwin. I have been visiting the Natural History Museum frequently since about the age of five, and so this really was a privilege. This was certainly the highlight of the preparations for the competition. The lion’s share of the rest was more what you might expect: poring over textbooks and past exam papers. Vietnam itself was incredible. Of the ten days in total we spent there, only two were taken up with examinations. As expected, these were tough and stressful, and not helped in some cases by the translation of the papers from Vietnamese, but surprisingly they felt like a small aspect of the Olympiad. Instead, it felt more like an international celebration of enthusiasm for biology, with students from all over the world coming together to share culture and biology. Indeed, rather than the exams, the most challenging aspect might have been giving up my phone and the internet for the six long days between checking in and the end of the last exam. Everyone there was very friendly, and most teams brought trinkets from their home country to share out: the Japanese team brought beautiful fans, the Dutch team brought delicious liquorice, and we brought RSB-branded pencils and badges. Many of the people I met at the Olympiad I am still in touch with, and quite a few of them came to the UK for university. 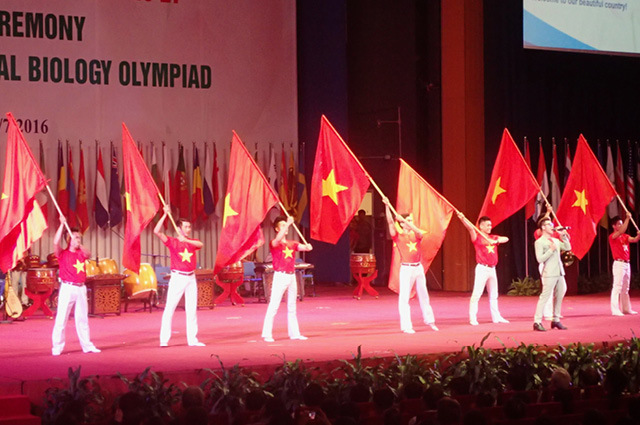 Vietnam is a beautiful country, and the 2016 IBO was the fourth international Olympiad they had hosted. Hanoi National University was a fantastic organiser, marshaling hundreds of helpers, and putting on spectacular opening and closing ceremonies. 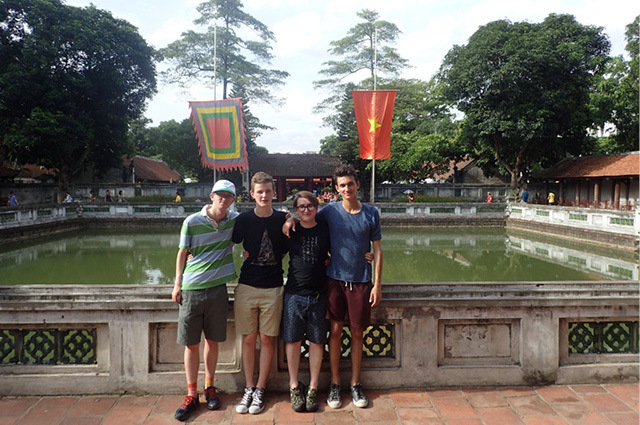 They arranged some great excursions into Hanoi and the surrounding countryside. Extraordinarily, they ensured our journeys were always smooth by providing us with police escorts: roads were briefly closed and heavy traffic parted to allow our motorcade to travel without delay. We wandered around the gardens of the Temple of Literature, built in the 11th century; we fought our way through crowded markets built in the 21st century. We paddled in bamboo rafts on the Red River and we crafted pottery in the Bát Tràng pottery village. We ate lots of phở, but mostly we ate the deep-fried food they served in the student canteen. It felt like we nearly died crossing the road on many occasions. When we got back to the UK, it was a real heroes’ return, similar in many ways to the actual Olympics. Not in the sense that there was any committee at the airport to welcome us, nor any fans waiting to pose for selfies with us, but we did feel hugely important walking through immigration and customs wrapped in Union Flags, medals worn proudly around our necks. In fact, all of us from the 2016 UK team ended up at Cambridge together, and all studying Natural Sciences. Happily, we have remained close, and we meet up every few weeks. I learnt a lot at the Olympiad. Not only about biology, and how to cope with tough exams and practicals; but also about K-Pop, by virtue of nightly karaoke in the common room, and that even scholarly, non-rugby-playing representatives of New Zealand can perform a convincing haka if the occasion demands it (which apparently the opening ceremony did). Always make sure that you respect the local traditions. Try to learn even a few words of the language. And try as much of the native food as possible, even if you think you might not like it. Also, seriously – try to avoid the temptation to cram during the Olympiad week. The chances of you learning anything that proves useful in the exams is low, but the opportunity cost of not interacting with people who have traveled from all over the world to come to Warwick is very high. And neglect botany at your own peril. Finally, if you are looking for a real honour, you should Tweet with the hashtag ‘#IBO’ as we did last year, and there is a chance that you too might be retweeted by the International Boxing Organisation. The International Biology Olympiad is taking place from the 23rd to the 29th of July of this year. Follow the IBO2017 twitter account and IBO2017 Facebook page to stay up to date with the competition, and check out the IBO website for more information.